Jonathon Robers, DDOT planner, shows how DDOT projects much less traffic on neighborhood streets if the proposed SE Boulevard is four lanes. Rogers said that the study shows a four lane boulevard would be the most advantageous for the surrounding community resulting in far less traffic on nearby neighborhood streets than a two lane boulevard. The (optimistic) projected time line for completion of the project is between 7 to 10 years, with the lower figure based on a model anticipating parkland adjacent to and on the boulevard and the higher figure based on surrounding redevelopment construction (residential and commercial infill). In order to move forward, the next step would be an Environmental Assessment study – for which 2016 funding has already been provided. It will be up to ANC6B to push the project forward by requesting the study. The prospective underground garage for tour buses anticipated by all three prospective concepts has raised the most concerns by community stakeholders. Commissioner Daniel Chao, in whose single member district most of the project lies, expressed concerns about the impact of the proposed garage on the quality of life of nearby residents, including Potomac Gardens and Hopkins Apartments, as well as the traffic congestion buses would bring to the community. 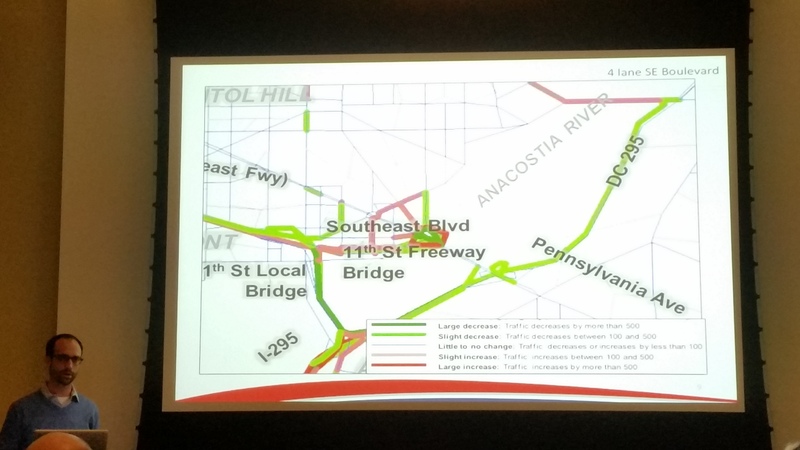 Commissioner Nick Burger suggested that DDOT consider a SE Boulevard completely below the surface, leaving the ground level available for residential development. Rogers responded that the Environmental Assessment could include that concept. Flahaven, a prominent Hill East activist, suggested that any committee action be delayed for a month to provide an opportunity for the committee to receive community input, consider options, and weigh how best to proceed. 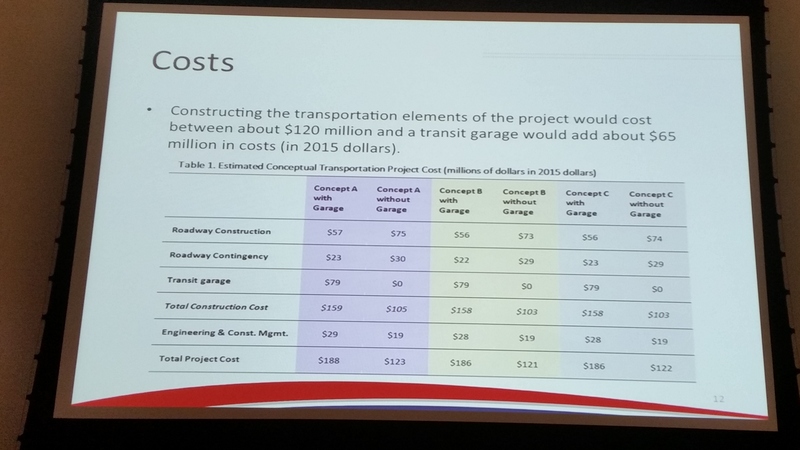 Oldenburg proposed that the Transportation Committee consider a draft letter to DDOT to support going ahead with the Environmental Assessment and include “additional ideas” at its next meeting in February. That proved to be the consensus of the committee. Additional details will be made public at the next regular ANC6B meeting on January 12, in Hill Center, when the commission receives the committee report. Only $121-123 million to create 3-ish blocks? That seems like a steal if you’re developing the land and an absolute waste if you’re just going to put in “parkland.” A rough estimate from google maps and using concept A shows 225-275k square feet of developable land created. Assuming this new land is zoned R-5-B, at worst it should sell for $275/square foot*. So just selling the land you’d recoup $62-75 million dollars of the initial investment. Of course any development would require 30% affordable so the selling price would be much lower but that’s sort of after-the-fact spending that the city has decided is worthwhile. This is before any revenues from property taxes, transfer taxes, and income taxes or the non-quantifiable benefits of connecting two parts of the city currently gashed by a freeway. In my dream world, you’d use this land to start the 1-for-1 replacement of Potomac Gardens units (352 total) on the way to tearing down and selling Potomac Gardens to recoup even more of the costs of this land creation.